App Optimization: What is App Store & In-App Optimization? App optimization is the process of testing new ideas, measuring results and improving your mobile app. It can improve downloads, revenue and engagement. App optimization tools can improve the in-app experience, which is an important ingredient of a successful app. That’s why many of the top app publishers run frequent A/B tests and experiments. But, you can also use these tools to measure the impact that price changes have on peoples’ purchasing behavior. This is critical information for making an app that is not only engaging, but also profitable. App optimization tools work by analyzing past user behavior to determine the best way to achieve some goal. In the case of in-app price optimization, the software will look at previous purchases at various price points, and work out the effect that each price point has on customers’ lifetime value. These strategies are particularly useful for apps that are already popular, since the marginal gains they can provide outweigh the additional cost of managing the tools and integrating with your apps. Most app optimization services, however, are fairly simple to implement with new and existing apps. Generally speaking, app optimization tools are divided into two categories. App store optimization (ASO) is akin to search engine optimization. It is all about improving the ranking of your app with the app stores, and ensuring that people who find your app also download it. In-app optimization (IAO) is about what happens after somebody has downloaded your app. In other words, it is about improving the in-app experience and, in the case of fremium apps, achieving a revenue goal. Once you’ve published your app, you want to get the word out. In practice, almost all app downloads take place on the Google Play Store or the Apple App Store. As an app publisher, you will want to get as many downloads as you can from these stores. To stay competitive, it is important to have good ranking for key search terms. You want your target market to find you, and you want to rank higher than competitor apps. The app store is often the main source of your downloads, so it is important that people can easily find your app with search, and that they feel compelled to download your app once they find it. There are two key components of ASO. The first is keyword optimization, which ensures that your app ranks high for specific search terms related to your app. The second concerns your ‘landing page’ on the app stores, which contains information about your app, as well as images and videos. There are plenty of guides to ASO out there, such as 13 Steps To Perfecting Your App Store Optimization from The Next Web. There are also plenty of tools available to help you with ASO, and agencies which will manage it for you. Once you’ve got people downloading your app, your attention should turn to keeping those people engaged. If you have a freemium app, you also need to ensure you price your in-app products optimally. If your app does not keep users engaged, they will be unlikely to use your app for a long time. Retention is critical to building a profitable mobile app. Nearly all in-app optimization strategies are some form of real user testing. You need to have a framework to measure against your goals, and the ability to test within your app. In the case of apps with in-app purchases, the obvious approach is to test which price points work best to improve lifetime value per user. 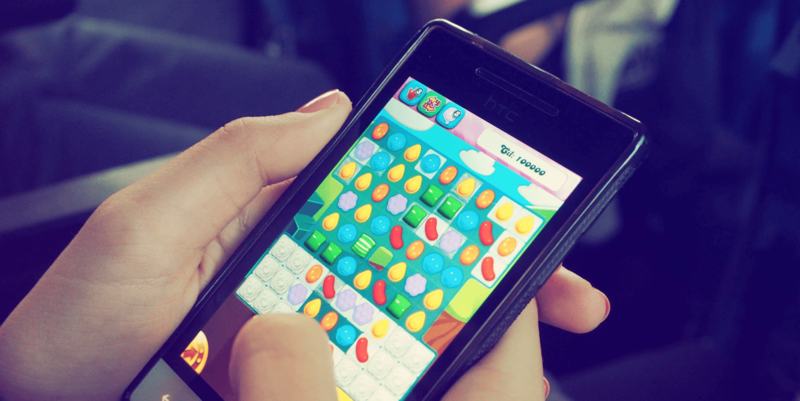 Sweet Pricing provides in-app optimization tools, allowing you to optimally price in-app content. The tools we provide allow you to see how users respond to different price points, update your in-app content from Sweet Pricing App Manager and control the range of allowed price points. 67% of users said they discovered their last app via app store search (NativeX). In-app revenue expected to have grown from $970 million in 2011 to $5.6 billion in 2015 (Verizon).